It is generally not my policy to mix business with politics, but it is becoming increasingly clear that politics has no such reservations when it comes to giving my customers a hard time! We have all heard the horror stories relating to the severe under-funding of schools in Britain at the moment and being the parent of three young children, I find this appalling! Although much has been said on the news regarding this subject, there has been very little said about the plight of museums, most of which are suffering equally. I find it hard to believe that the government re-introduced the subject of prehistory as an option for primary school teachers, but then immediately pulled the financial rug from under the museums, who are now struggling to, or can no longer support the schools in the subject. I have therefore decided to show some solidarity with primary schools and museums, although I appreciate even this will not help the worst hit of either. My price for school and museum visits was £250 per day, plus expense (fuel and tolls). 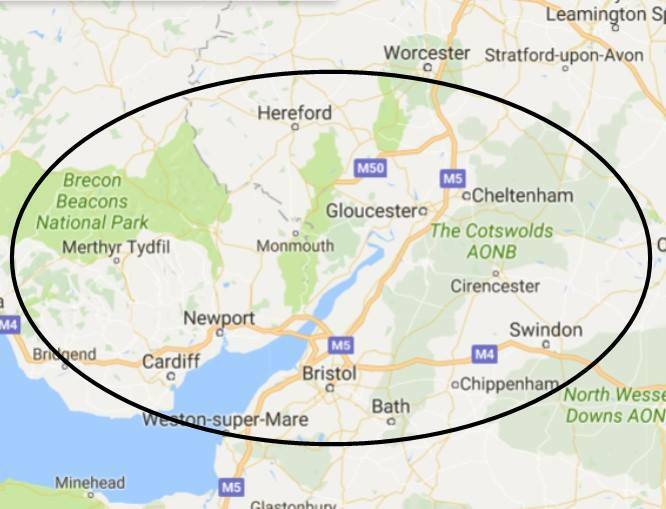 I have decided to reduce this to £150 per day plus expenses for 2018, for schools and museums within a radius of my home (please see map). Schools and museums outside this area will also receive the discounted price of £200 plus expenses. I am appalled by the governments attitude to education generally, and I genuinely wish I could support schools and museums further.